Everything you need to know about the benefits, performance, cost, safety, & maintenance of natural gas patio heaters! Natural gas patio heaters require special plumbing and installation. If a gas line isn’t already available, you’ll need to hire a licensed professional to install a line for you. Once installed, you’ll have a permanent, reliable, instant heat source for your outdoor space. You won’t have to worry about running out of gas or having to refill a propane tank. This will save you time and money in the long run. 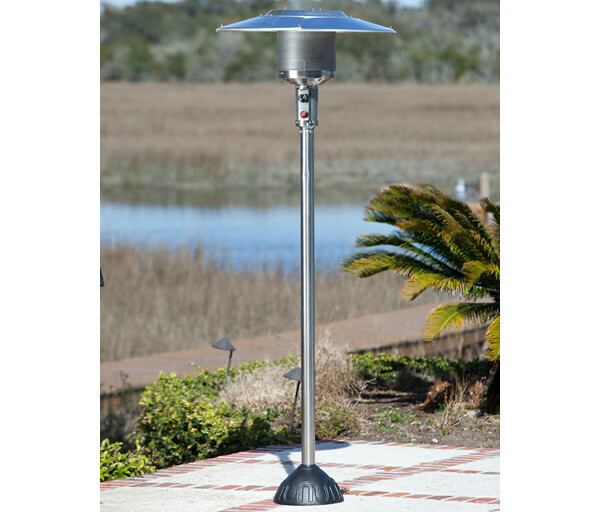 Ground-mounted natural gas patio heaters are an efficient, affordable, & hassle-free way to heat your outdoor space! Wall and ceiling mounted styles of natural gas patio heaters require an electrical supply, along with the gas supply, to work. Most can plug into a standard wall outlet, but you may need to have the proper wiring installed by a licensed professional. A typical full-size natural gas patio heater will produce 40,000 BTU's and will distribute heat to an area up to 20' in diameter (314 sq ft). 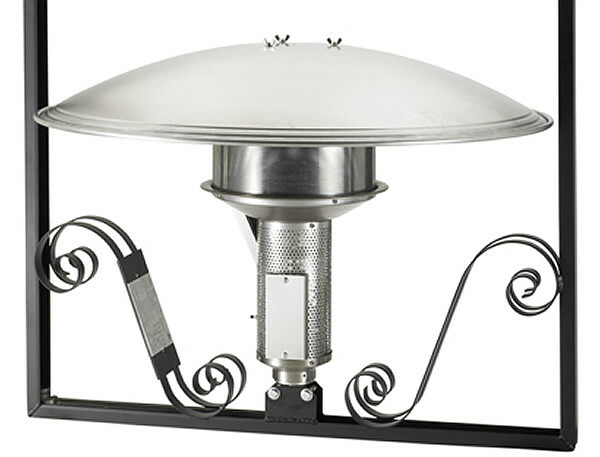 The exact heating range and output will depend on the design of the patio heater and the wind conditions. The cost of natural gas is measured in price per cubic foot. Natural gas provides an average of 1,030 BTU’s per standard cubic foot, but this number can vary between 950 to 1,050 BTU’s. 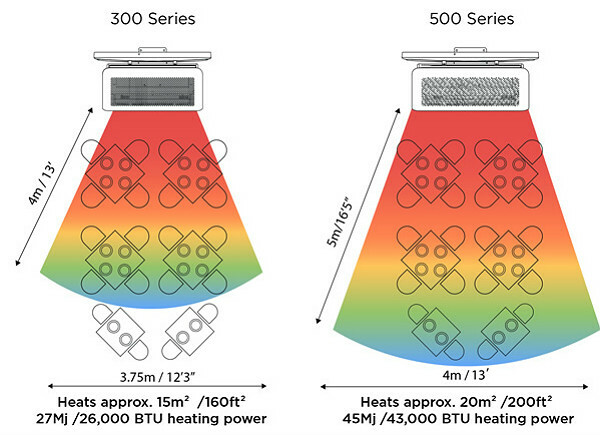 A typical 40,000 BTU patio heater that heats an area of 314 sq ft will cost an average of 48 cents per hour to use. Compared to propane and electricity, natural gas is the least expensive fuel option, but rates may vary depending on where you live and the efficiency of your patio heaters. Sunglo's hanging natural gas heaters are CSA approved for a safe & stylish heat source! Before using your natural gas patio heater, read the installation manual thoroughly, so you know how to set it up and use it properly. Natural gas is odorless on its own, so a distinct smell is added to it to help you identify its presence. The scent is very strong and unpleasant, similar to rotten eggs. If you smell natural gas, you may have a gas leak. Always refer to the owner’s manual for help detecting and repairing a leak. A qualified service technician must determine the area is completely leak-free before you use any natural gas-fueled appliances. When you’re finished using your patio heater, always turn the control knob off. Once the heater has cooled, use a protective cover to keep it safe from the elements. Always keep heaters out of reach of children and never leave your patio heater on unattended. 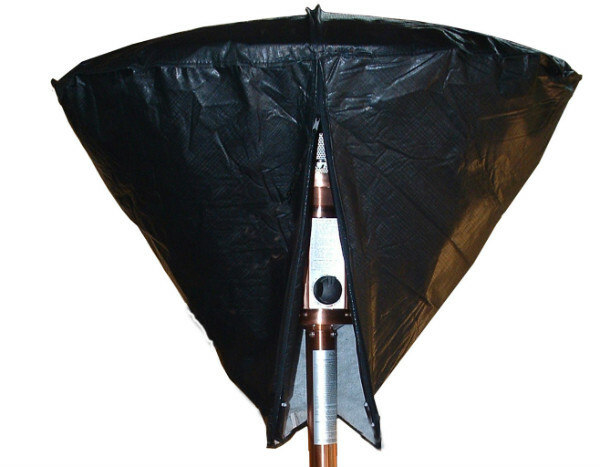 Protect your patio heater with a durable, weather-resistant cover to extend its life & keep it safe from inclement weather. 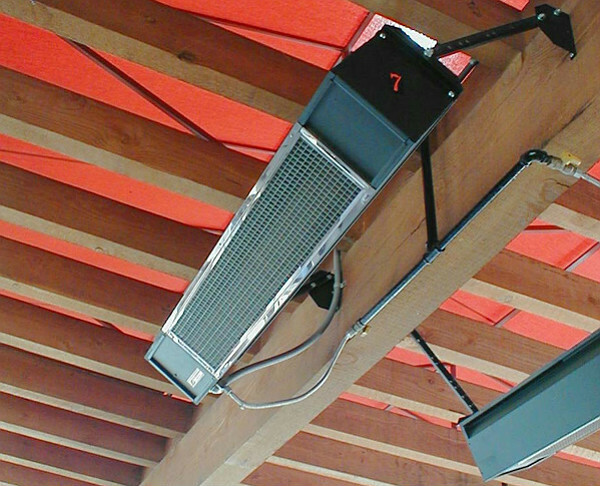 Extreme temperatures and weather conditions can cause unnecessary wear and tear to your patio heaters. You can prevent this and extend the life of your ground-mounted patio heaters by protecting them with a weather-resistant cover when they’re not in use. Make sure your patio heaters have completely cooled before covering. Before cleaning your patio heater, make sure the gas supply is turned off and fully disconnected. Never disassemble the heater and only clean the outside surface. Read all about electric and propane patio heaters to find the best heater for your space!